Which is the best New York pass for me? Discount code at the Holiday Inn Express Greensboro, which usually gives 25% savings compared to the flexible rates (depending on how busy the hotel is). 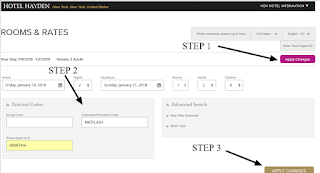 In the search form, after you've introduced the travel dates and the number of guests, look for the option "Corporate ID" and copy/paste there the code 786836248 then push the button "Check Availability". In the search results, this special rate is the first one that appears and is called "UNCG". It is a fully flexible rate and when you compare it with the standard flexible rate you will usually see a discount of 25%. We found this rate on the website of the University of North Carolina at Greensboro, being made available to the visitors of the campus, but with no proof of eligibility attached to it. In any case, if you are asked at check-in about this rate, just mention you are visiting the university campus. Share with us your experience in using this discount code for the Holiday Inn Express Greensboro. 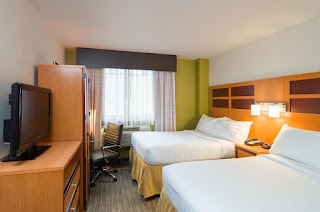 Important savings at the Holiday Inn Express & Suites Raleigh, with a code that applies between 25% and 30% discount off the flexible rates (depending on how busy the hotel is). 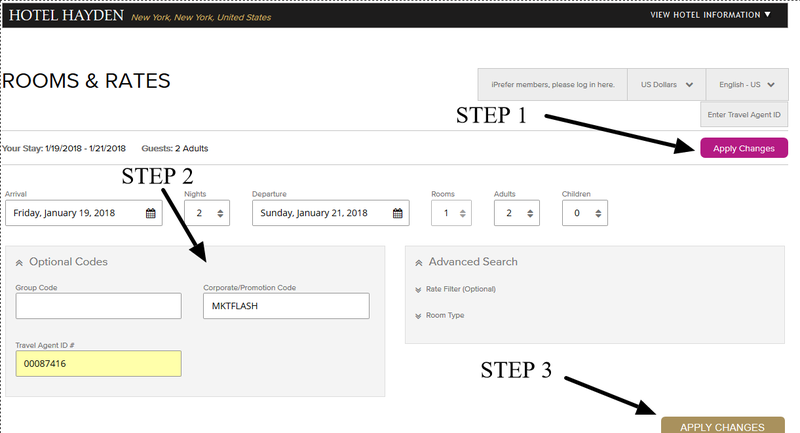 In the search form, after you've introduced the travel dates and the number of guests, look for the option "Corporate ID" and copy/paste there the code 100863054 then push the button "Check Availability". In the search results, this special rate is the first one that appears and is called "NC STATE UNIVERSITY". It is a fully flexible rate and when you compare it with the standard flexible rate you will see a discount ranging from 25% to 30%. We found this rate on the website of the North Carolina State University, being made available to families of students, but with no proof of eligibility attached to it. In any case, if you are asked at check-in about this rate, just mention you are visiting the university campus where a member of your family is a student. Share with us your experience in using this discount code for the Holiday Inn Express & Suites Raleigh. 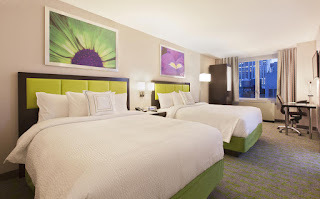 Promo code at the AC Hotel Raleigh North Hills, that provides approximately 40% discount off the flexible rates. In the search form, in the field "Special rates" select the option "Corporate/Promo" and type there the code NQA then just perform the search as usual. In the search results, this discounted rate is the first one that appears and is called "North Carolina State U rate". It is a fully flexible rate and when you compare it with the standard flexible rate you will notice a discount of 40% on most dates. We found this discounted rate on the website of North Carolina State University, which offers these special rates to parents and families of students. There is no proof of eligibility required to benefit from this rate and, if asked at the reception, mention that you intend to visit the campus and that this special rate was advertised on the university's website as available for online booking for the families of students. Let us know how this discounted rate at the AC Hotel Raleigh North Hills worked for you. 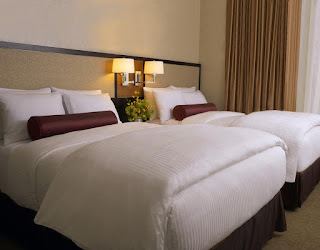 Promo code at the Raleigh Marriott Crabtree Valley, that provides approximately 40% discount off the flexible rates. 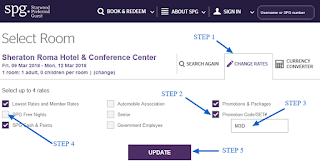 In the search form, in the field "Special rates" select the option "Corporate/Promo" and type there the code VP0 then just perform the search as usual. In the search results, this discounted rate is the first one that appears and is called "Ncsu Vip Program Rate". It is a fully flexible rate and when you compare it with the standard flexible rate you will notice a discount of 40% on most dates. 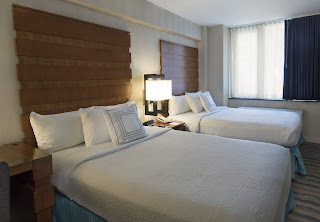 Let us know how this discounted rate at the Raleigh Marriott Crabtree Valley worked for you. 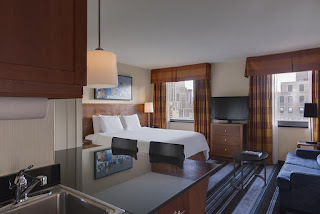 We found a promo code at the Homewood Suites by Hilton Cleveland-Beachwood that gives a 20% discount off the flexible rates. In the search results, this discounted rate is the first one that appears and is called "CASE WESTERN RESERVE UNIVERSITY". It is a fully flexible rate and when you compare it with the standard flexible rate (tick the box "Featured Rates" on the left side column called "Rate Types"), you will see a discount of 20%. We found this discounted rate on the website of Case Western Reserve University, which made it available to student families visiting the campus. There is no special condition to benefit from this rate and if asked at the reception simply mention that you visit a student on campus. Let us know how this discounted rate at the Homewood Suites by Hilton Cleveland-Beachwood worked for you. These codes must be used at checkout, immediately below the credit card information, where you see the text "Do you have a discount code or voucher?". Click on that text and copy/paste there the discount code then push the button "Apply" to see the price reduced. Please let us know how these lastminute. com discount codes worked for you. This post will help those who are searching which is the best place to buy discounted tickets online to Florida themes parks (Walt Disney World Resort, Universal Orlando, SeaWorld Orlando and Legoland Florida). Please share this article with those interested in buying online cheap tickets to Orlando, Florida amusement parks. Save money by booking this hotel as a mystery package - you just won’t know which hotel it is until you book! A family-friendly 4* with a well known name and on-site parking. Save 15.6% on average by booking this hotel as a mystery package - you just won’t know which hotel it is until you book! Save 12% on average by booking this hotel as a mystery package - you just won’t know which hotel it is until you book! A stylish and modern 4* hotel with a health club and parking on site. Fabulous 4* hotel with fine food, a health club and on-site parking. 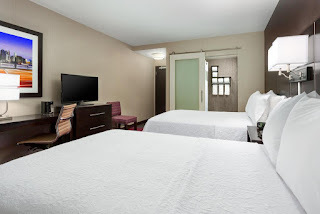 Convenient 4* hotel with indoor pool, steam room and on-site parking. Save 43% on average by booking this hotel as a mystery package - you just won’t know which hotel it is until you book! 4* hotel with free wifi, a celebrity-chef restaurant and on-site parking. Save by booking this hotel as a mystery package - you just won’t know which hotel it is until you book! A relaxing 4* country escape with an award-winning restaurant. Conrad and Waldorf Astoria are the top-end brands of the Hilton hotel conglomerate. For stays throughout 2018 they offer the fourth night free at their properties worldwide. The saving will be reflected as a 25% over the value of each night. Close and convenient 3* hotel, with secured parking and free wifi. Save 33% on average by booking this hotel as a mystery package - you just won’t know which hotel it is until you book! A luxurious 4* hotel connected to the terminal, with Mid Stay parking. Save 19% on average by booking this hotel as a mystery package - you just won’t know which hotel it is until you book! There are several websites which sell the Disneyland Paris tickets at a discount compared to the Disneyland official website. Using the ubiquitous AtractionTix.co.uk and Attraction-Tickets-Direct.co.uk, you only save approximately 8% compared to the Disneyland website. We left this deal offered by 365Tickets at the end because it is difficult to coordinate the plans of around 5 families and then to have a credit card with a sufficient balance to cover the value of 20 tickets. 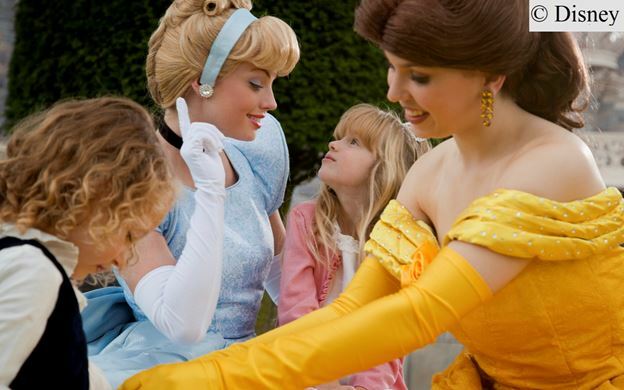 Please share with us and the other readers whether you took advantage of these offers for cheap tickets at Disneyland Paris, or if you found other sources of discounted Disneyland Paris tickets. This Superbreak. com promo code offers a 10% discount off all bookings. Let us know how this Superbreak. com promo code worked for you. This is a typical win-win situation between a vendor and a client. Car rental companies often need to move cars from one location to another, because, for an example, a previous client picked-up a car from a location and dropped it off at another location and afterwards the car needs to be transferred back to its base. In these circumstances, some big car rental companies offer a one-way rental for a fee of only 1 € / £ / $. the client gets a free one-way transfer from a place to another. the client has a short (starting from 24 hours in Europe to a couple of days elsewhere) and a limited number of kilometers included, enough to move the car from point A to point B (so you cannot drive one week for unlimited number of kilometres and then at the end just drop-off the car at the destination). This is usually a good deal for those who do a tour during their holiday (for example a couple of days in Barcelona, then off to Madrid, then after another couple of days move south to Seville, and so on). Bookmark this post, as we will keep it updated with all the latest one-way rentals for one dollar. This is one of the regular promotions from Accor Hotels, whereby you stay 3 nights and pay only 2. The saving will be shown as a 33% discount on the rate for each night, by comparison to the best flexible rate. The promotion is open for reservations until 3 April 2018, for stays between 31 March and 10 June 2018. These discounted rates at Accor Hotels are non-refundable, so if there are uncertainties about your trip, better book a flexible rate. Flash sale from Living Social, where two persons pay only € 12 instead of the € 27 one pays on the official website of the operator. The vouchers are valid between 8 March and 31 October 2018 (excluding, however, the months of July and August). 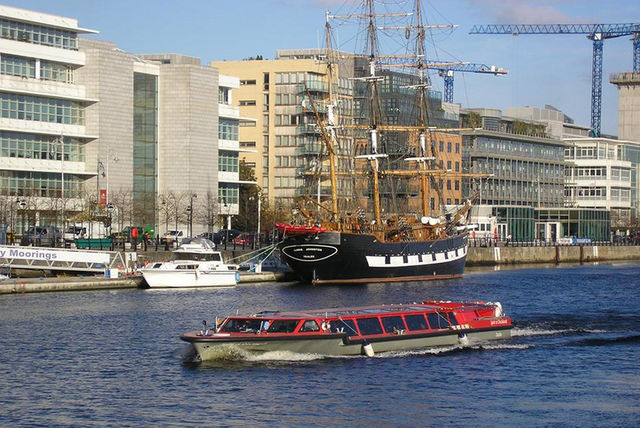 For groups of 4 or 6 persons, the discount is even bigger for the Dublin river cruise. This is the cheapest solution we found for discounted tickets at the Slide at ArcelorMittal Orbit in London. Isango, one of the largest vendors of tickets for tourist attractions and activities, already sells these tickets cheaper by 10%. Then, when you also use the discount code ECSNB2J4 you get an additional 10% off. Enjoy these discounted tickets at the Slide at ArcelorMittal Orbit in London. Hotelopia is one of the best hotel discounters worldwide. For bookings and stays throughout 2018 they offer a 10% discount. What is special about this code is that you can use it also for big hotel chains (Hilton, Marriott, etc) and the discount applies to the total price (thus you discount also the taxes and fees paid). Click on that blue line and in the text box that opens type the code WELCOME and then push the button "Apply". You will then see the total price reduced by exactly 10% with this Hotelopia promo code. Lastminutetravel.com is a US-based hotel discounter which should not be overlooked, especially when you are looking for hotels in peak periods and hotel discounts are hard to find. For hotel reservations until 16 March 2018 (stays anytime during 2018), they offer a $50 discount code (minimum purchase $500). The code works also when you select £, €, CAD or AUD as payment currency. Leave a comment sharing your experience with using this LastMinuteTravel promo code for hotel discounts. For stays from March to August 2018, you get 40% discount off bed & breakfast rates at the Hotel d'Orsay - Esprit de France, located right in the middle of everything in Paris. The hotel has an excellent 9.2 rating on booking.com. Rates are payable in USD and are non-refundable. We test-tried several dates in May - June 2018 and we saw a 40% discount compared to the well-known travel agencies. Save 14% on average by booking this hotel as a mystery package - you just won’t know which hotel it is until you book! Save 27% on average by booking this hotel as a mystery package - you just won’t know which hotel it is until you book! Save 13% on average by booking this hotel as a mystery package - you just won’t know which hotel it is until you book! Save on average 22% by booking this hotel as a mystery package - you just won’t know which hotel it is until you book! Numerous travel dates and duration for these cheap flights from Lyon to Los Angeles in 2018. We selected only flights with a single short stopover in either Montreal, Munich or Frankfurt. With one checked luggage included, the cheapest prices are 450 € per person. Let us know how these cheap flights from Lyon to Los Angeles worked for you. Whether you've travelled or are planning to travel to the Nordic countries in Europe (Denmark, Norway, Sweden and Finland), you must have noticed that hotels are rather expensive and getting a good price on quality hotels is difficult. One of the best solutions to book good hotels at decent prices in the Nordics is staying at Choice Hotels and paying with points. Choice Hotels is an international chain of hotels, with a strong presence in the United States, but with properties spread out worldwide, including Europe. Some of the Choice Hotels brands you might be familiar with in Europe are: Quality Hotels, Clarion or Clarion Collection and Comfort Hotels. 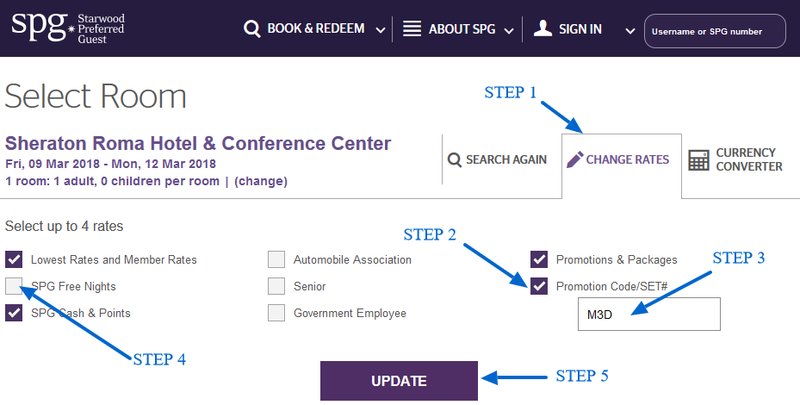 If you are already a member of the Choice Rewards programme, skip this step and remember to stay in Choice Hotels whenever you have the occasion (especially when your employer is paying for room :), in order to gather loyalty points and enjoy free nigts during your holidays. 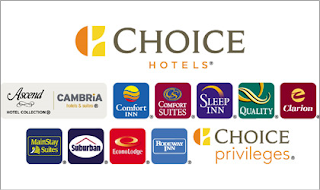 Search for Choice Hotels in the destination you are interested in and note down how much money would that cost if you paid cash and how many points you would need if you paid with points. Choice Rewards points are sold in increments of 1 000 points, which cost $11. So if a night may be paid with 8 000 points, this means that you will actually pay only $ 88 (or about € 70), which you need to compare with the cash rate to see if it's worth it (and most of the time it is). Buy the number of points you need (you can buy up to 50 000 points in a year). At certain times during the year, there will be promotions which offer up to 30% - 40% bonus points on top of the regular number of points. That would be the most lucrative time when to buy these points. Please follow our Facebook page, as we will keep you updated when these promotions are activated. Login into your Choice Rewards account and reserve your room using the points just bought. That's it. It requires a bit of time, but you will make significant savings on your hotel in the Nordic countries in Europe. Only 400 CHF for return flights from Geneva, Switzerland to Seoul, South Korea. There are numerous travel dates available from March to June 2016, for shorter or longer holidays (including Saturday / Sunday to Saturday / Sunday). 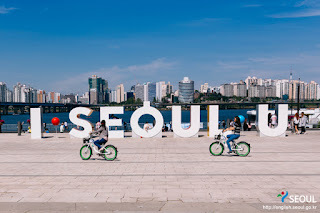 Share this deal with those around you, so that they can enjoy these cheap flights from Geneva to Seoul. Direct flights operated by British Airways from London to Los Angeles at only £449 per adult. Two full weeks of holiday, travel from Saturday 22 December 2018 to Saturday 5 January 2019. Please leave a comment if you booked this deal - it's good to know we've helped you score cheap flights during school break from London to Los Angeles. Only $86 per room per night at the Pacific coast resort of Iberostar Playa Mita in Mexico. Rates are valid for double occupancy in an Ocean View room, for stays until 20 June 2018. For example, for 5 nights during the period 16 - 21 March, this deal offers a total price of $430, whereas elsewhere you will find it starting from $1800. Please share these deeply discounted rates at the Iberostar Playa Mita with those who might be interested, as the booking window is only open until the end of February 2018. Cheap direct flights at € 430 with KLM from Amsterdam to Miami for the autumn school break (end October beginning of November). Full week holiday, Sunday to Sunday travel. Probably not many seats available, since there is only one travel option available, so do share with those you think might be interested, so that they can take advantage of these cheap direct flights from Amsterdam to Miami, Florida. Good prices still during the school holiday period, from Edinburgh to Miami. Return flights with British Airways, with a quick stop-over in London Heathrow. Share this deal with those you think might be interested by these cheap flights from Edinburgh to Miami, Florida. Where to buy discounted Disneyland California tickets from? We are all trying to find cheap tickets for the Disneyland California theme parks (Disneyland Park and Disney California Adventure). 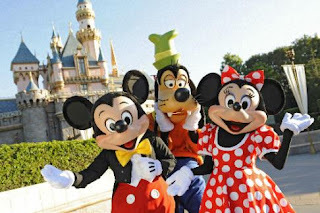 Below we will list the best options for discounted park tickets at the Disneyland theme parks in California. There aren't that many websites that sell Disneyland Resort tickets (probably a dozen or so). As a general and tested rule: you can always find cheaper than the official website. Below are listed the sources of discounted tickets for the Disneyland California parks (savings calculated as an example for a 3-day park hopper ticket). This pass is only $20 more expensive than the official price of the 3-day park hopper at Disneyland, but you get 2 more theme parks included. Depending on which are your plans, this option could be a good fit. Please share this information so that others can benefit from discounted tickets at the Disneyland Resort in Anaheim, California. One of the very rare Saturday night promotions that we've seen during the last years. Village Hotels is a chain of 29 modern hotel spread throughout the UK. For Saturday night stays this promotion offers free breakfast and a 2-course dinner from a set menu. Lowest price at £75 per room per night is available in Aberdeen. Rates are non-refundable, but stay date can be changed for free one time. Promotion valid for stays until 30 November 2018. Prices start from as little as $539 per person for one week cruises in the Caribbean with MSC Cruises. A choice of Eastern Caribbean (including St. Maarten, Bahamas and Puerto Rico) and Western Caribbean (Jamaica, Mexico and the Cayman Islands) itineraries can be made, with departures from Miami, Florida. Enjoy these discounted fares for balcony state rooms with MSC Cruises. Great deal from TUI, for departures during the Easter week this year. 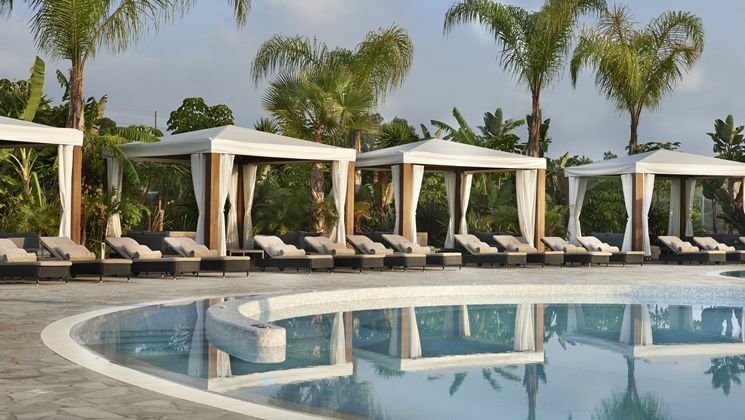 Direct flights with the Dreamliner for 2 adults and 2 kids, accommodation for 2 weeks at the Rosen Inn hotels, plus car hire, comes at a little over £400 when you also use the discount code LH200 at check-out. Share with those which you think might be interested in these deeply discounted Orlando travel packages. There's a new promotion from Club Carlson, the loyalty programme of Radisson Blu, Radisson RED, Radisson, Park Plaza, Park Inn by Radisson and Quorvus Collection hotels worldwide. Called "Dream Deals", this promotion offers members of Club Carlson rewards programme a 30% discount off best available rates plus 2 500 bonus points per stay. Bookings for the Dream Deals promotion are open until 25 February 2018, for stays from 28 February 2018 to 30 June 2018. The discounted Radisson Blu rates under this promotion are non-refundable. 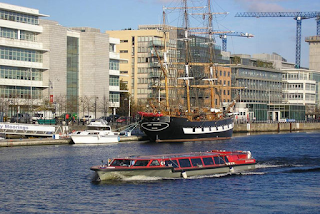 While in other cities you would be interested in the Hop-On Hop-Off bus, here it's the canal boat you're looking for. Groupon Belgium comes to help, with a 40% discount on the 1-day or 2-day unlimited Hop-On Hop-Off canal boat in Amsterdam. The Groupon page is in French, but you can translate the necessary with Google Translate. Valid for rides from 1 March 2018 to 31 December 2018. You simply print the Groupon voucher and present it at the boat stop. Enjoy this discounted price for the Hop-On Hop-Off canal boat in Amsterdam! Discounted rates offered by Groupon Australia for this Travelodge located just 10 miles north-west of Sydney. All rates include breafast and are available for travel until 30 September 2018. You have the choice of buying 1, 2 or 3 night stays for 2 or 3 people per room. select the voucher corresponding to the desired number of nights and the number of guests of room and make the purchase. after purchase you can book directly online via the link provided in the electronic voucher. Enjoy these discounted room rates at the Travelodge Macquarie North Ryde just north-west of Sydney. 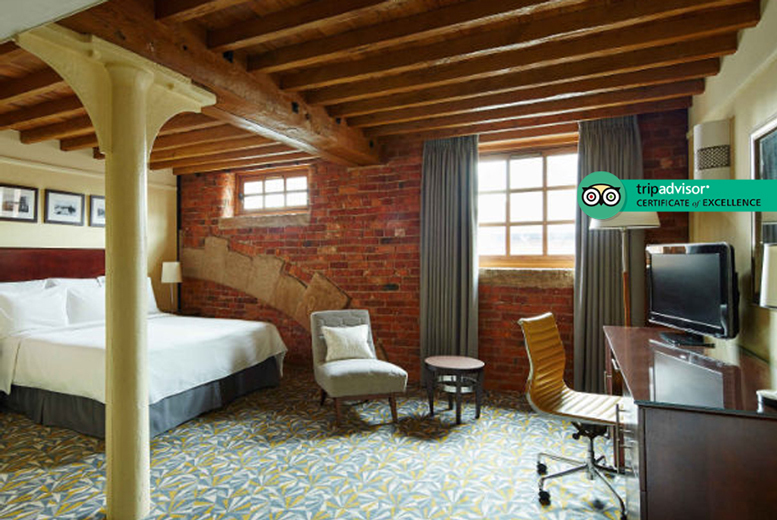 We've seen quite a number of good hotel deals recently on Groupon Australia and featured some of them here on the blog in the past. A special category of these Groupon hotel deals are the Mystery Hotels, where the name of the hotel is revealed only after booking. Guests arrive at the mystery hotel, boasting a convenient location in the heart of the CBD. Whether the trip is business or leisure related, close public transport options and immediate freeway access in and out of the city makes travelling a breeze. During downtime, work up a sweat at the fitness centre. The cosy superior room also features tea- and coffee-making facilities, and large work desks. Groupies are whisked away to a mystery hotel in North Ryde, where they have their pick of local attractions to visit, including the Sydney Olympic Park, Macquarie Shopping Centre, and DFO Homebush. Just a 20-minute drive from Sydney’s CBD, the hotel is a great base from which to explore Sydney’s Northwest. The hotel also offers a shuttle service within the Macquarie Business Park to make the visit easier for business travellers. Overlooking the scenic banks of the Swan River, this mystery hotel invites guests to enjoy five star accommodation as well as a number of on-site facilities. These include an outdoor swimming pool, and fitness and recreation centre boasting a fully equipped gym and steam rooms. A wide choice of Australian specialities may be enjoyed at on-site restaurants, offering buffet and a la carte dining options as well as breakfasts, coffee and sweet treats. Groupies embark on a mystery getaway, staying in the heart of Brisbane’s CBD. Modern luxuries like an on-site fitness centre, high-speed Internet access, and a 24-hour concierge service assist travellers in making the most of their stay. Those wanting to explore the city will be close to major attractions such as the Botanical Gardens, Brisbane River, and Queen Street Mall. Alternatively, take it easy at the hotel and enjoy a leisurely meal at one of two all-day dining options. If you are interested in another Groupon Mystery Hotels not revealed hereabove, please send us an email and we will be happy to help. Starwood is an international chain of hotels with brands such as Sheraton, Westin, Aloft, Four Points, Design Hotels, St. Regis, etc. The discount is calculated by comparison to the best available flexible rate. These discounted rates are non-refundable. A MasterCard must be used for the reservation. Search for your travel dates and destination and then click on the "LOWEST RATE" shown for your preferred hotel. You will now see the rates updated and the first one that appears is called "MasterCard 3 for 2"
Let us know how this Starwood discount code worked for you. A rare Kiwi. com promo code valid for flights throughout 2018. The discount code is valid for bookings made until 28 February 2018 with a minimum value of 300 € (so perfect for a long-haul flight or a group of friends over a week-end city break). Once you've selected your preferred flight, in the check-out page, just above the credit card information, look for the section "Redeem Promo Code". Click on that and in the text box that opens type in the code SUMMER and push the button "Apply". You will immediately see the total price discounted by 30 €. 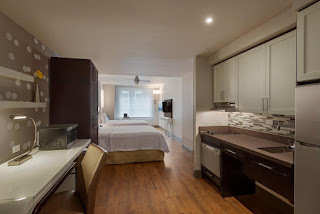 9flats.com is one of the online platforms which provides an alternative to hotels, in a similar manner to its better know competitors AirBnB or VRBO. They currently offer a 50 € / $ voucher code for bookings of minimum 300 € / $ until 28 February 2018 (stays throughout the year). Once you've performed the search and chosen the desired property, in the check-out page just below your contact details you will find the text box "Voucher code". Copy / paste there the code FREE50FEB and push the button apply. You will immediately see the total price discounted. You can now enjoy even cheaper private accommodation with this 9flats voucher code. Accor Hotels is one of the largest worldwide chain of hotels, with brands such as Sofitel, MGallery, Pullman, The Sebel, Novotel, Mercure, Adagio, ibis, ibis Styles and Adagio Access. Considering that the points accumulated part of the Accord Hotels rewards programme convert into euro at the rate of 2 000 points = 40 €, this means you can earn up to € 120 credit which you can use against your future reservations for free or discounted nights. If you are not yet a member, you can register for free also using the link above. All in all, this is a deal which will not suit many people, because of the requirement to book quite some time in advance. However, if you have many stays coming up in the next couple of months (such as the Easter break, for example), this could be a good opportunity to rack up quite a good amount of points. Cheap flights for full week-ends in Amsterdam, with departure Friday evening and return Monday morning. Flights with Vueling or EasyJet depart from Stansted / Luton just before 8 PM on Fridays and return just after 7 AM on Mondays. Winter deal for the New York Explorer Pass, with no minimum purchase requirement. Once purchased, you have one year to use the Explorer Pass, so this discount code comes handy for travel any time throughout 2018. Many dates available for direct flights from Lufthansa / United, one piece of checked baggage included. For those who prefer the winter holidays, cheap flights are also available around Christmas and New Year's Eve. We can also provide suggestions for discounted stays at hotels in New York or elsewhere on the East Coast. 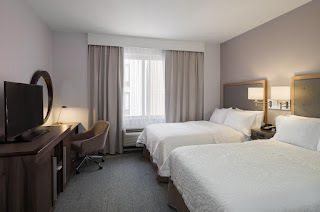 When booking direct on the hotel's page you can save up to 35% of the standard rate with a discount code for Hotel Captain Cook in Anchorage, Alaska. Hotel Captain Cook, a 4-star central hotel with very good reviews reflected in an 8.7 overall score on booking.com, is part of the Preferred Hotels chain, a collection of quality hotels and resorts worldwide. You will now see the discounted rate called "Last Minute Escapes", which is fully flexible and is up to 35% cheaper than booking through other websites. This was our tip for discounted rooms at Hotel Captain Cook in Anchorage, Alaska. Wyndham Hotel Group has a very diversified portfolio of hotel chains, including brands such as Ramada, Howard Johnson, Days Inn, Wingate or Wyndham. For two separate stays until 30 June 2018 you will receive 15 000 bonus loyalty points, enough for a free night in a standard room. You need to be a member of Wyndham's loyalty programme to benefit from this offer. If you are not yet a member, please join here. Now you are ready to earn 15 000 bonus points with just two separate nights stayed until 30 Jnune 2018. Bookings must be made through official Wyndham websites (thus reservations through third parties like booking.com, hotels.com, do not qualify for this promotion). Another deal for a summer holiday to New York and the East Coast with prices starting from 308 €, checked baggage included. This is an itinerary with one stop-over in London with flights operated by British Airways and Virgin Atlantic. Travel dates available throughout the year, many of them also during the summer school holidays. Other US destinations are also available, for an increased price. Send us an email if you need suggestions for accommodation in New York to go along with these cheap flights from Luxembourg to New York. Orbitz (part of Expedia group) offers regularly hotel discount codes or promo codes for flight + hotel package bookings. 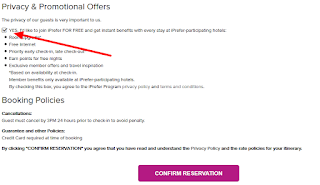 These Orbitz coupon codes must be applied at check-out, just before the credit card information in the section "Enter a coupon or promotion code" where you copy/paste or type the code and push the button "Apply Coupon". 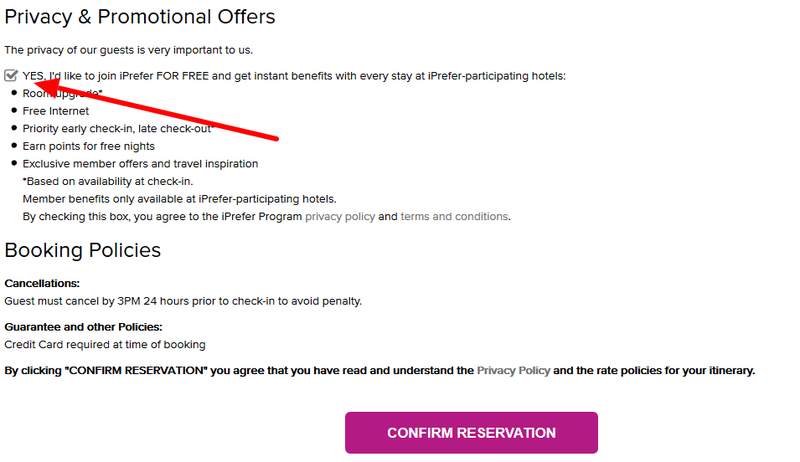 Orbitz discount codes are not applicable to bookings which include international hotel chains (e.g. Hilton.com, Marriott.com, etc). Visit this page regularly, as we will keep it updated throughout the year with the Orbitz promo codes valid in 2018. CheapTickets (part of Expedia group) offers quite often hotel discount codes or coupon codes for flight + hotel package bookings. These CheapTickets coupon codes must be applied at check-out, just before the credit card information in the section "Enter a coupon or promotion code" where you copy/paste or type the code and push the button "Apply Coupon". CheapTickets discount codes are not applicable to bookings which include international hotel chains (e.g. Hilton.com, Marriott.com, etc). We will keep this page updated so that you can take advantage of these CheapTickets promo codes valid in 2018. Marriott is well-known for its range of quality and luxury accommodation in towns and busy locations, but few of us know that there are some very nice all-inclusive Marriott properties in the Caribbeans. Now that you know where are the Marriott all-inclusive resorts, make sure you check them out for your next sunny holiday. Many Saturdays available from March to October 2018. We looked at the 5th of May and it was £99 for the whole family with rooms at the Holiday Inn. Let us know if you took advantage of this discounted short break package at the LEGOLAND Windsor Resort. A deal for the traveller on a tight budget, valid at all ZEN Rooms properties across 7 countries in Southeast Asia (Thailand, Malaysia, Indonesia, Philippines, Sri Lanka, Singapore and Hong-Kong). In that window, after you've inserted your contact details, look for a small text box "Voucher Code". Type in there the code ZENHI15 and then push the button "Apply Voucher". You will see the price reduced by 15%. Enjoy your exotic holiday with this voucher code at ZEN Rooms in Southeast Asia! how many days are you spending in New York ? how many attactions (and which) do you want to visit? 3 - 4 day trip with 5 attractions: the FreeStyle Pass. The price is more or less the same as the Explorer Pass and the FLEX pass, but it includes 3 days unlimited bus tour and you can choose OWO. 5 - 6 day trip with 10 attractions: the FLEX pass. It's about $50 cheaper than the Explorer Pass and you can also choose OWO as one of the attractions and the GoAirlink transfer from the hotel to the airport at departure. 7 - 10 day trip: the unlimited Sightseeing pass. At an average cost of $32 per day you will very easily get much more value from enjoying all those New York attractions each day. Pass name / logo Main features and how does it stand out from the others? The SightseeingPass comes in two options: FLEX and unlimited. The FLEX pass option involves choosing a set number of attractions: 3, 4, 5, 6, 7 or 10. You have 7 days to take advantage of the attractions from the moment you used the pass for the first time. You have one year from purchase to start using the pass. An adult FLEX pass costs around $120 for 5 attractions. Current pricing is available here. The unlimited option is very similar to the New York Pass described next, only that it's slightly cheaper. - the only unlimited pass with One World Observatory (OWO) and National Geographic Encounter’s Ocean Odyssey. Full list of attractions is available here. Unlimited number of attractions valid for a set number of days which you choose when purchasing the pass (1, 2, 3, 5, 7 or 10 consecutive days). To test if it's worth spending more money on this unlimited attraction pass, you can make a simple calculation: divide the price of the pass by the number of days you plan to use for. Now compare this average daily amount with the sum of the prices "at the door" for the attractions you plan to do to see if you save money. This pass is suitable for those that spend at least 7, but preferably 10 days in New York. For shorter stays it could be suitable only for people with a lot of energy to do so many attractions and a lot of accurate planning to "recover the investment". A 5-day pass for an adult is $280, on average. Significantly bigger number of attractions than the FreeStyle Pass, its closest competitor. Additions with the Explorer Pass are: The Ride, Woodbury Bus Round Trip, Food on Foot Tours, Luna Park at Coney Island, Daytime Statue Sails, Sopranos Sites Bus Tour, Legoland Discovery Center, etc. Choose a set number of attractions: 3, 4, 5, 7 or 10. You have 30 days to take advantage of the attractions. You will get a full refund within one year after purchase if plans change and you do not use the passes. Adult passes for 5 attractions cost around $120. Current official pricing is available here. Quite often you find it cheaper when bought from Isango. Free 3-day all around unlimited Hop-on Hop-Off Bus + Night Tour. Free CitySightseeing Hop-on Hop-off Ferry Ticket. Among attractions available are One World Observatory (OWO) and National Geographic Encounter’s Ocean Odyssey. You have one year from purchase to use the pass. At purchase you will input an estimated date of arrival in New York - this is only indicative and the pass can be used one year from the online purchase. Once you picked-up the pass in New York, you have 3 consecutive days for the bus tours and 14 days to take advantage of the number of attractions selected (3, 5 or 7 attractions). Prices vary depending on whether there is a promotion or not. On average, an adult pays about $120 for the 3 attractions ticket (which is similar to competing passes with 5 attractions because of the free bus and ferry tickets). Full list of attractions here. No value for money whatsoever. Includes only 6 attractions and most of them are museums. Valid for 9 days. No Hop On Hop Off bus, no guided tours. And the price is still about $120 per adult. We really hope that this post was useful in helping you decide which is the best New York pass for your holidays in the "Big Apple". Please share this article with those you think might be interested. 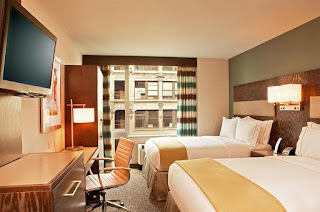 If you were wondering which are the hotels that do not charge the so-called facility fees in Manhattan around Times Square, we have compiled the top 10 list below. Considering also that these hotels offer free breakfast, you get very good value for money, with an average of 70 $ saved each night, which is the cost of breakfast for two people and the nightly resort fee. If you are with a party of more people, the savings increase even more due to the free breakfast. We listed these hotels in descending order of reviews, starting with those that have the best review scores from previous guests. 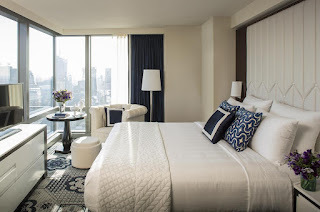 The links below take you to the hotels' official booking channels (be it Hilton, Marriott, etc) and when you join their loyalty program you will earn reward points which count towards free nights anywhere in the world with that hotel chain. Let us know if you stayed at any of these hotels or other hotels in Manhattan which offer free breakfast and have zero resort fees.